At first you may not recognize the name, but you immediately recognize the face, as his memorable collection of work, both TV and film, is quite extensive. 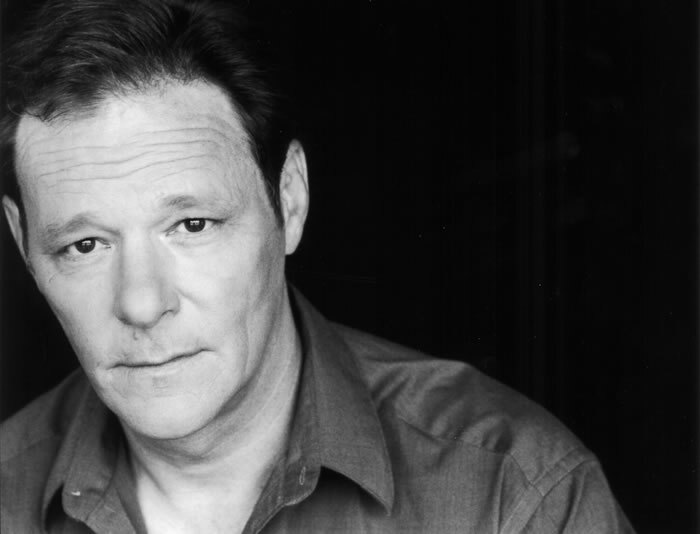 Chris Mulkey has an unbridled passion for acting and he's been at it for over 30 years. With such big screen credits as FIRST BLOOD, RADIO, AMERICAN GIRL, BULLWORTH, THE FAN, 48 HOURS, RADIO, and numerous others, Chris continues to deliver the necessary character figure needed in every movie. Nominated for Spirit Awards as best actor and for best screenplay, Chris also won a L.A. Drama Critic Award for the play "Blue Window". And just finished a sold out run, off-Broadway of Jane Martin's epic play, Flags", with wife, Karen Landry. His handsomely, weathered look is unforgettable and his well-driven work ethic has found him also appearing on some of television's most watched episodes. As ex-con Hank Jennings on cult-fave, "TWIN PEAKS" to his appealing family man portrayal in Lifetime's acclaimed series, "ANY DAY NOW", as well as guest appearances, too many to name. And then, there's made for television movie roles, BROKEN TRAIL -Robert Duval, which won three Emmys. Then there is VIETNAM WAR STORIES, BEHIND ENEMY LINES AND WEAPONS OF MASS DISTRACTION - all for HBO. Viewers can probably catch Chris, on some channel or another, at any given time. Chris was recently on "Lost" ABC, the Golden Globe nominated Showtime series, "Sleeper Cell", or as the new hard nosed coach on "Friday Night Lights", on NBC. Currently, Chris can be seen in the widely anticipated JJ Abrams produced film, CLOVERFIELD. Along the way, Chris developed a knack for writing and singing songs. Songs that tell stories about everyday life in the past lane. Songs that paint aural portraits of America and beyond. And, as his acting career reaches an all time high (he appeared in 6 six films last year) his musical career has taken flight as well. HIDE BIO. Darby Stanchfield is best known for her recurring role of Helen Bishop, on AMC's hit show, MAD MEN (Golden Globe Best TV Drama 2007). Darby has had a major recurring role in the CBS show, JERICHO, as Dr. April Green. Other recurring roles: NCIS, as Sgt Gibbs (Mark Harmon's) first wife, General Hospital as Amelia Joffe, and Exes and Ohs, as the evil "ex" Sienna. Other guest star roles on tv include: Cold Case, 24, Without A Trace, Bones, Nip/Tuck, Campus Ladies, Monk, Strong Medicine, Good Girls Don't, Angel, That 80's Show, American Dreams, It's All Relative, The Inside, & Diagnosis Murder. In film, Darby was most recently seen in theatres in Adrienne Shelley's independent feature, WAITRESS ("The Little Miss Sunshine of 2007) opposite Nathan Fillion and Keri Russell. Darby has also costarred with Josh Duhamel, in an adaptation of Oscar Wilde's, The Picture of Dorian Gray. Darby Stanchfield has a Master of Fine Arts from The American Conservatory Theatre. She was last heard in the NPR radio play as Daisy in Biloxi Blues with the LA Theatre Works last summer, and before that, was last seen as Carol in Oleanna for Malibu Stage. HIDE BIO. 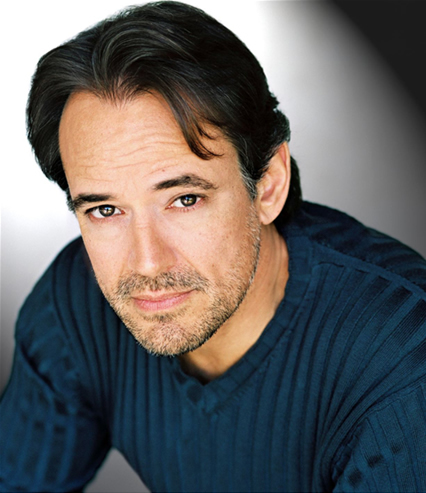 Actor, writer, director, producer and musician, Jon Lindstrom has managed to achieve success in every one of his many endeavors. Best known as an actor, his recent Feature and TV Film credits include Lead and Co-Star performances in the indie feature “The Double Born” and the tele-films “While The Children Sleep” and “McBride: Dogged”, “Must Love Dogs” opposite Diane Lane, and Disney’s “Right On Track”. Over the course of his varied career he’s shared the screen with Kevin Spacey, Halle Berry, Alec Baldwin, Marg Helgenberger, John Larroquette, Bernadette Peters, Beverly Mitchell, Craig T. Nelson and Sammi Davis. Among the accomplished directors he’s worked with are Russell Mulcahy, Gary David Goldberg, Martha Coolidge, Peter Markle, Tony Randel and Duwayne Dunham. Jon’s journey into the public eye began with his very well-received performances of two multi-dimensional characters: the psychotic Ryan Chamberlain and his endearing twin brother Dr. Kevin Collins on ABC’s long-running powerhouse “General Hospital”. In fact, Mr. Lindstrom and his characters had become so popular he was offered the male lead on the “GH” spin-off “Port Charles”. During his ABC tenure, Jon wrote and secured the deal for his first screenplay, co-written with actor Tom Schanley from an original story by Lindstrom, that evolved into the noir thriller “The Hard Easy”, starring Henry Thomas, Vera Farmiga, Bruce Dern, Peter Weller, David Boreanz and Nick Lachey. He’s completed 3 more scripts, “Head High”, “How We Got Away With It”, and “Anybody’s Anything”. Also while with ABC, Mr. Lindstrom used the opportunity to hone his directing skills. Now a proud member of the Director’s Guild of America, he is perhaps the only actor ever to be given a directing deal while still an under contract as an actor to the network. That gave him the chance to learn the complexities of running a set while delivering multi-camera scenes under the great pressure of a truncated schedule. It was then that, on his own, he began to write and shoot short films in order to learn single-camera directing with an eye toward shot and sequence composition and color scheme. Once a professional drummer, he recorded the album, “Feel Free To Do So” with the band The High Lonesome, for the Spark Records label. The record garnered much industry praise and “most-added” status for two singles on the Billboard Hot 100. Born and raised in the Pacific Northwest, Mr. Lindstrom attended the University of Oregon, majoring in filmmaking, theater and music. Molly Quinn was born into a family of adults and teens in Texarkana, Texas. She has been entertaining them since the day she was born. She loved making new friends and enjoyed all things outdoors. When she was 3 she began dance and gymnastics lessons. Not being busy enough she asked for a small toy-like violin to play. Always ready to play for family and guests, it was not long before she took her shows to nursing homes and elementary schools. At 4 she was asked to do a series of local commercials and from 5 to 12 was again asked to be in several other types of regional commercials and print ads. At 5 she auditioned for the community ballets Nutcracker and was selected. The next year during auditions the director (Martin Beck, www.martinbeck.com) asked her if she would audition for an acting part as well. Molly was turning 7 and she would be Martin’s youngest student to ever teach. He was often quoted as saying, "Teaching Molly is like having a tiger by the tail." He treated her as a professional and every week from the age of 7 until she was 12 they worked together preparing accents, cold reads, monologues, and drama, lots and lots of drama. At the end of sixth grade Molly asked to attend summer film camp in Dallas, Texas. When she was auditioning at the Young Actors Studio (www.youngactors.org) the director, Linda Seto, asked if Molly could come back in a week to perform for Cindy Osbrink, and Mary Grady. They all felt strongly that there was work for Molly to do in L.A. and after six more months of intensive training in comedy, sitcom, green screen, teleprompter and film work she joined Osbrink Agency. She is now living her dream and her parents are still trying to catch up. She has been truly blessed so far to work with Jake Kasdan on "Walk Hard: The Dewey Cox Story," Diane Namm on "The Sacrifice" and Robert Zemeckis on "A Christmas Carol." She continues to study the arts and would love to keep developing the craft of acting so as to have a long career in feature film. 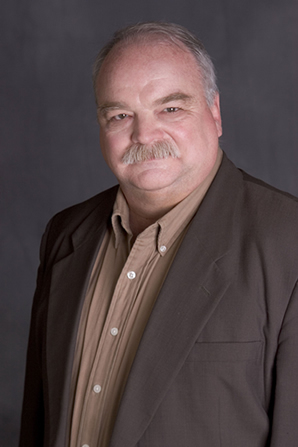 Richard Riehle is an actor’s actor who has appeared in over 80 films and over 50 different television shows as well as having performed on stage in many of the country’s most prestigious theaters. The list of films is as illustrious as it is extensive with memorable performances in films such as “Office Space,” “Casino,” “The Fugitive,” “Glory,” “Ghosts of the Mississippi,” “Fried Green Tomatoes,” “Of Mice and Men,” and “Mysterious Skin.” Television audiences know him from series regular roles on comedies such as “Grounded for Life” and “Married to the Kellys,” his extensive list of dramatic roles include work on telefilms such as, “Keeper of the City” and “The Laramie Project,” as well as guest starring appearances in episodes of “The West Wing,” “Boston Legal,” “ER,” and “Allie McBeal” to name a few. The Sacrifice is Diane Namm's film directorial debut... Diane Namm (www.ladyofthecanyon.com) is the author of over 50 published children's books and young adult novels. Her most recent titles --adaptations of Jungle Book; Doctor Dolittle; Phantom of the Opera and The Five Little Peppers are published by Sterling Books/a division of Barnes and Noble Publishing. Namm founded West of Broadway (www.westofbroadway.org), in order to stage updated classics for family audiences. As Artistic Director of West of Broadway, Namm has penned and directed modern adaptations of classics by Dickens, Twain, Beatrix Potter and O. Henry, putting an interactive spin on each production: Mrs. Scrooge; Huck; Bunny Tales Episode IV: Bunny Wars and Red Chief! Namm is also the writer/director for the annual LA Street Scenes series, which she produces in conjunction with Create Now! a mentoring organization for at-risk youth. Her work in the industry also includes writing award-winning, feature-length screenplays such as Warrior Queen; Pranksters; Greed, and Full Blue. Namm started her career in book publishing, was Executive Editor at Simon & Schuster, and has a Master’s Degree in English Literature at the University of Michigan. After founding West of Broadway, Namm moved into directing and producing. Namm serves on the Advisory Board of the English Department at the University of Michigan, is a member of the LA Stage Alliance, Author’s Guild, American Film Institute, American Screenwriters Association and Women in Film, and is listed in the National Museum of Women in the Arts.